Representative Example: £400 loan repayable over 6 months. 6 monthly payments of £126.40. Rate of interest 179% p.a. fixed. Representative 991% APR. Total amount payable is £758.40. Besides being a former Japanese province situated on Kyushu island, Satsuma is also a short term loan provider via its website www.satsumaloans.co.uk. The lender is part of the Provident Personal Credit Limited group that started lending activities back in 1880 by providing a Buy Now, Pay Later voucher-like product designed to cover essential needs such as coal, clothing or food. Later on they moved to the cash loans business and Provident still operates today with over 7,000 agents across the United Kingdom. In our digital age, their business naturally evolved to offering loans online. Satsuma issued over 90,000 loans last year. According to the ratings on Feefo, 96% of their customers gave a positive feedback about the services they were offered. 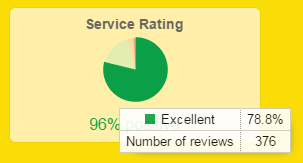 Out of 477 reviews, 376 (78.8%) rated the service excellent. Only 6 (1.3%) rated it ‘bad’. Their offer loans of £200 to £1,000 for a term of 3 to 12 months. You will also repay your loan in monthly or weekly instalments which makes it more flexible to manage with smaller amounts to repay. You can use their calculator to evaluate different repayment options and choose the one that fits you better before applying. You can also select your repayment day to have more control over your schedule. For example, if you borrow £200 over 8 months, your interest will amount to £200 with a total to repay of £400. That is a monthly instalment of £50. You can also make additional repayments whenever you want, hence repay your loan in advance as your budget allows you to. - Agree to a credit check: a check will be carried out on you but you do not need a perfectly clean credit file to be approved. Many factors are taken into account, one of them being the loan amount, the higher the loan, the tougher the check. There are no fees associated with the application or processing it, neither for any transfer fee or missed payment fee! At the end of the application, if you are approved, the money should be with you within 1 hour. The payout time is between 6AM and 11.30PM. After that you will have to wait for the next day to receive the funds. In the event you are declined, you will not be able to apply again within 2 months. However, if you think there has been a mistake, you can send an email via their contact form within 21 days of your declined application. The instalments are monthly or weekly but you can also make a payment to your account anytime by calling the Customer Care on 0800 694 0004. If you repay early, you may be entitled to a discount. There are currently no options to pay online but Satsuma is working on adding this feature. If you pay late or less than the contracted rate, you will not be charged any additional fee. However it can negatively impact your credit history and could make it more difficult to get access to credit in the future since Satsuma will share this information to credit agencies. Paying Satsuma back on time can also help you rebuild your credit rating as they will report to credit agencies.